Reservations may be made by telephone or email. As a guide to prices we charge from: £26.00 to £36.00 pppn, depending on time of year, reduced rates for late booking, students, and seniors reduction out of season. Please calll to discuss further. Please state at time of booking if you wish to reserve parking. 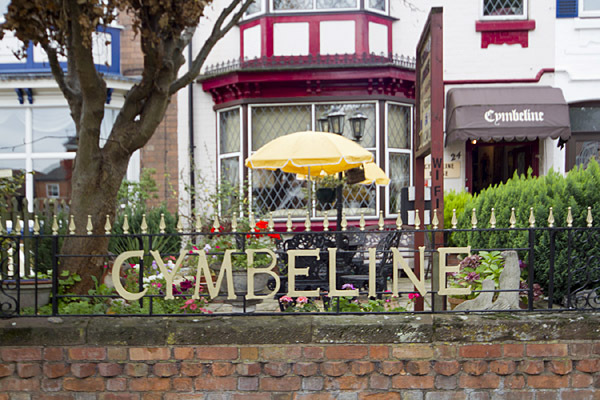 Cymbeline House has a patio garden to the front of the house available for our guests. Note: Cymbeline has a full fire certificate.